With a soft opening held this week, SaWa is expected to be open for lunch and dinner as early as next week. 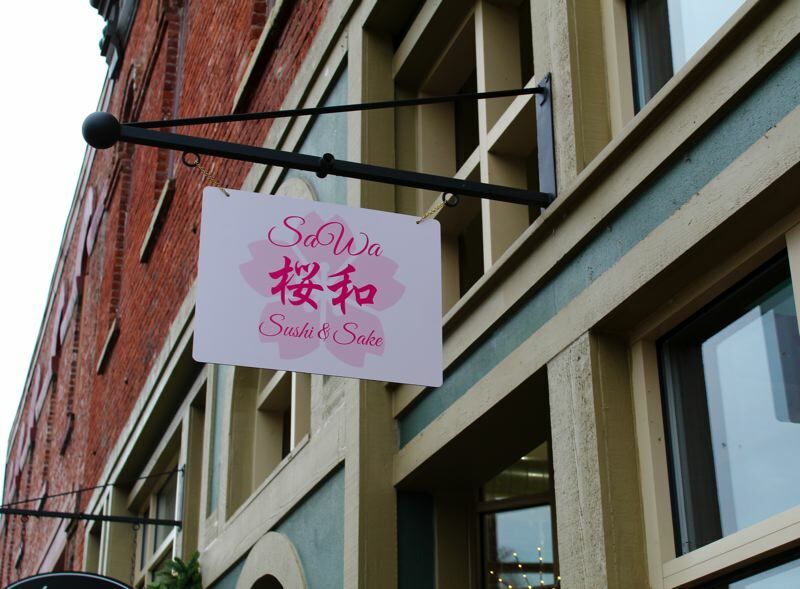 Downtown Forest Grove's newest restaurant, SaWa, held a soft opening this past week, introducing the community to a Japanese restaurant much like one in nearby Hillsboro. The owner of downtown Hillsboro's Syun Izakaya decided to open a second location in Forest Grove after 20 years in business in the basement of a historic Carnegie Library building in downtown Hillsboro. The restaurant has made a name for itself with its small plate offerings and one of the largest selections of sake in the Pacific Northwest. The new location, however, doesn't just have a different name — it will also offer some unique options on the menu. "The main difference is, Syun Izakaya, 'syun' means bar, so that's why you see that long list of bar foods … shareable plates," said Joshua Reyes-Rozzell, one of the new location's managers. "Here, teishoku is going to be the main focus." Teishoku is a traditional Japanese set menu where a chosen entree is served with fresh seasonal vegetables, miso soup, a house salad and steamed white rice. SaWa will still offer a lengthy sushi and sake menu with all of the same options Syun Izakaya does, as well as vegetarian and vegan items, he said, with many locally sourced ingredients and all made-from-scratch and prepared-in-house sauces and dishes. 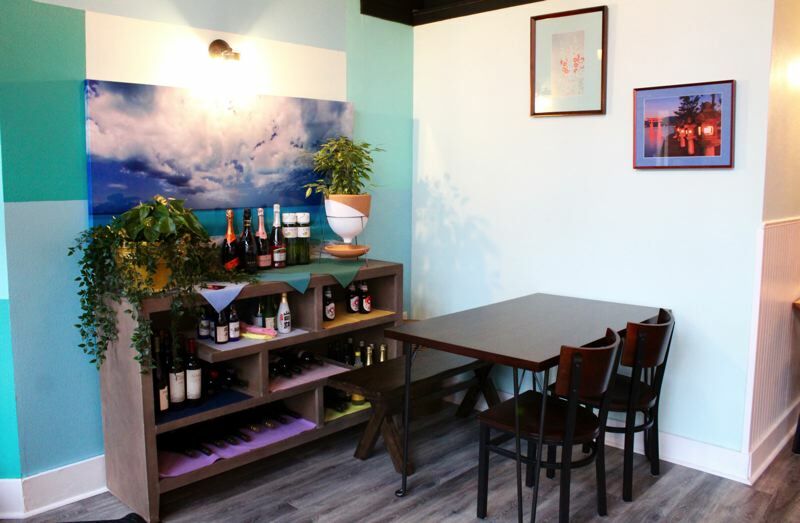 "The way (owner Fusako Imai) sees restaurants is a form of entertainment, and she just likes sharing good foods, and she likes sharing authentic foods," Reyes-Rozzell said. "Obviously, we do have kind of an Americanized palette, too, to help ease people into it, but there are very traditional, hard-to-find (menu items)." The restaurant's new name was chosen by Imai, said Reyes-Rozzell, and it's one that's meaningful to her. "Sa" means cherry blossom, and "Wa" means peace or harmony, he said. "Fusako is first-generation Japanese, so in her own country, cherry blossoms are a symbol of renewal," Reyes-Rozzell said. "And in a morbid but light-hearted way, it's a symbol of honoring the limited time that we have, because cherry blossoms are very delicate and they die very fast, so it's like the fleeting nature of life." While SaWa opened its doors last week for dinner beginning on Thursday, Jan. 4, the official grand opening date is not yet set. Employees wanted to first get a taste of how busy it may be, taking notes along the way and perfecting the process, Reyes-Rozzell said. It won't be long, though, he said, and once fully open, the restaurant will operate Wednesdays through Sunday for lunch and dinner. Reyes-Rozzell said he and the team are looking forward to getting started, and they were impressed by the friendliness of the crowd during this week's soft opening. "Forest Grove is so disarmingly nice," he said. "Everyone is so polite and so nice. It's really sweet. ... We are pretty much as excited to be here as everyone is to have us. We have a lot to live up to with Syun, too."